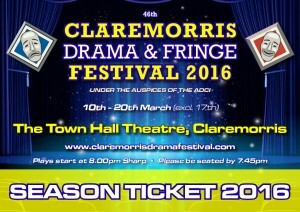 Entries are now closed on the Claremorris Fringe Festival website at fringefestival.ie. 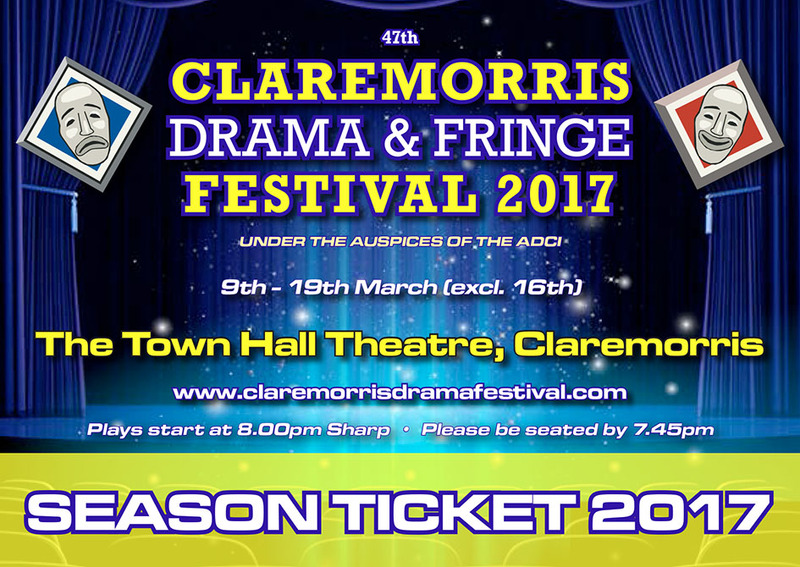 The Fringe line-up will be announced shortly. This entry was posted on October 3, 2017 by Enda McCallig. This entry was posted on January 16, 2017 by Enda McCallig. This entry was posted on January 28, 2016 by Enda McCallig. This entry was posted on January 5, 2016 by Enda McCallig. This entry was posted on October 6, 2015 by Enda McCallig. Congratulations to Rasper Players who won the 2015 Blue Riband Trophy for their performance of Marina Carr’s “Woman and Scarecrow”. This entry was posted on March 10, 2015 by Enda McCallig. 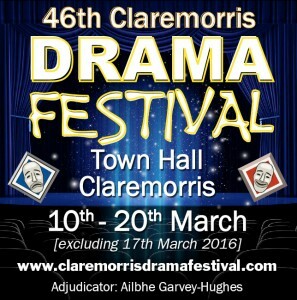 Congratulations to Kilmuckridge Drama Group who won the 2014 All-Ireland Confined Drama Finals in Claremorris for their performance of Conor McPherson’s “The Weir”. This entry was posted on April 15, 2014 by Enda McCallig. 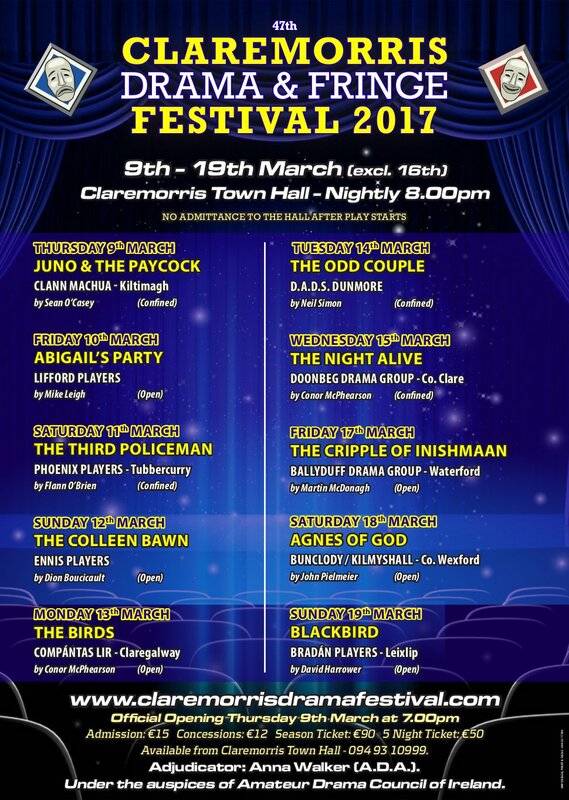 Claremorris Drama Festival Committee were delighted to have the opening of the 2014 All-Ireland Confined Finals in Claremorris performed by Seamus Mallon. Seamus Frederick Mallon (born 17 August 1936) was the first Deputy First Minister of Northern Ireland from 1998 to 2001. He was also the Deputy Leader of the Social Democratic and Labour Party from 1979 to 2001. Seamus was educated at the Abbey Christian Brothers Grammar School in Newry and St. Patrick’s Grammar School, Armagh. As a career he chose teaching, becoming headmaster of St. James’s Primary School in Markethill. Seamus was also involved in drama and a member of Newpoint Players Newry. Later in his illustrious career, Mr. Seamus Mallon was one of the architects of the Good Friday Agreement in 1998, and helped instigate the road map to the peace settlement, we have today. Seamus was also involved in the Gaelic Athletic Association, playing Gaelic football for County Armagh. Newpoint Players [Newry and Warrenpoint] were formed in 1946 shortly after the war. 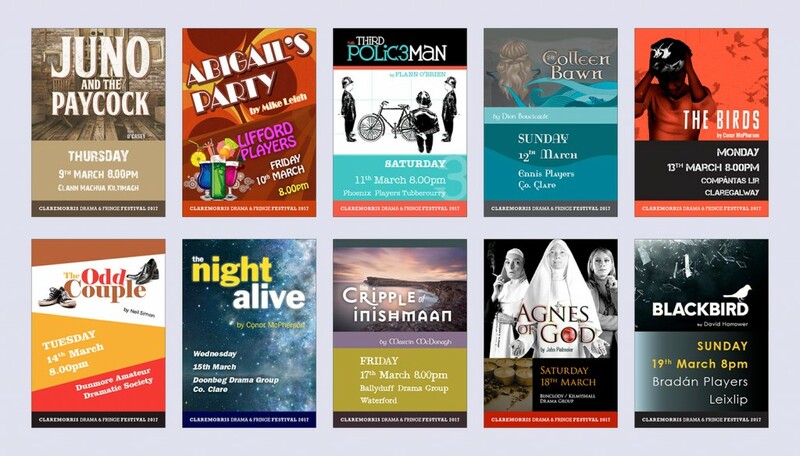 For most of the years since, the drama group has produced at least one full-length play a year, frequently several other productions and has boasted a strong team of actors, producers and back-stage players. Seamus produced many plays for Newpoint Players including “The Borstal Boy” by Brendan Behan and many musicals including “West Side Story” and “Oklahoma”. 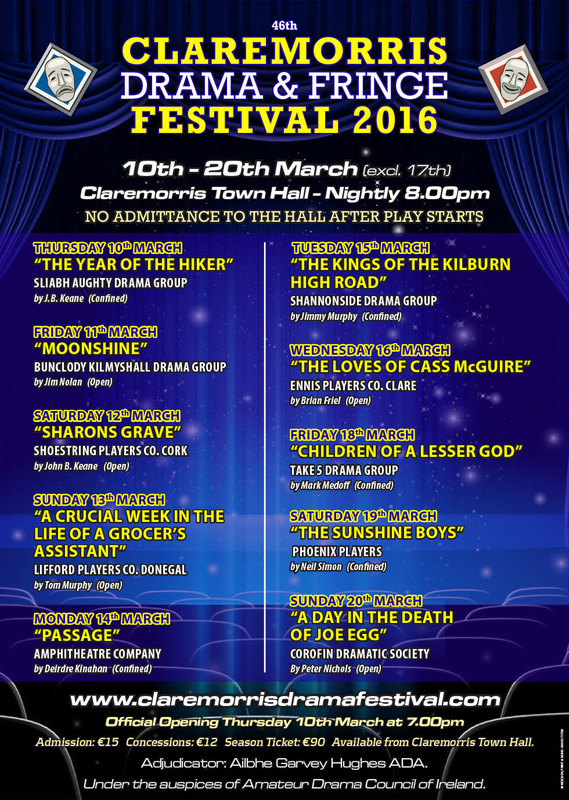 He also produced plays for The Armagh Theatre Group including “The Hostage”. In the early sixties Seamus Mallon directed Thornton Wilder’s “Our Town”, a production still remembered fondly by some members and patrons. 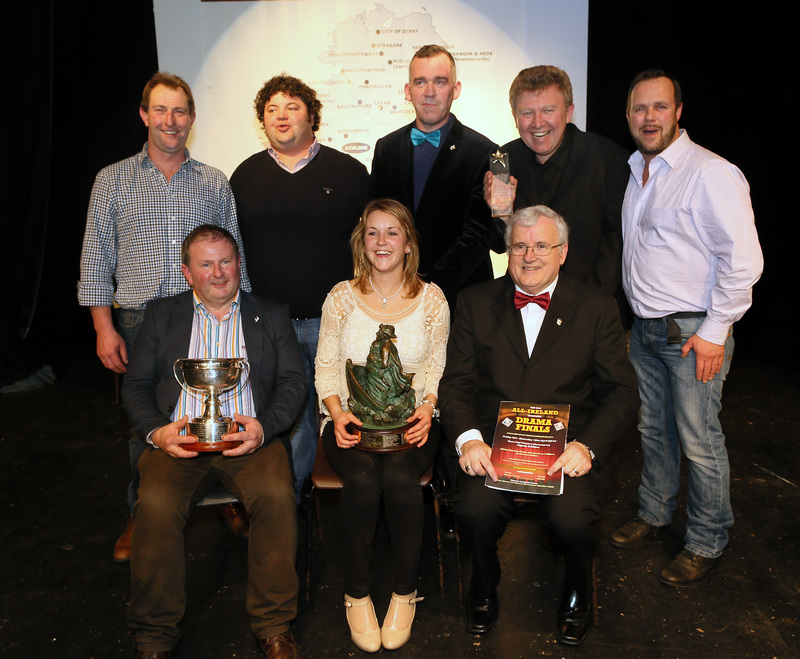 It won everything, including the society’s second All-Ireland title in Athlone. This entry was posted on March 9, 2014 by Enda McCallig.